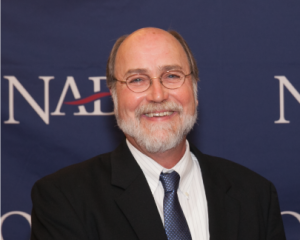 Washington, DC – Wayne Strickland, Executive Director of the Roanoke Valley-Alleghany Regional Commission in Roanoke, VA, was elected to the National Association of Development Organizations (NADO) 2016 – 2018 Board of Directors on April 13, 2016. Founded in 1967, NADO provides advocacy, education, research, and training for the nation’s 540 regional development organizations. NADO member organizations serve local governments and the public within their regions through various programs focused on diversifying local economies, assisting businesses, creating jobs, and providing community services. The NADO Board of Directors oversees the association’s budget and operations and develops policy on issues affecting regional development organizations. NADO’s Board of Directors includes member organizations that represent a broad section of the United States including the Central, Eastern, Midwestern, Southeastern, Southwestern, and Western regions. The two-year term for Board members begins on May 1, 2016 and runs through April 30, 2018. This entry was posted in Blog, Latest Updates on April 26, 2016 by admin. The Roanoke River Blueway has won the 2016 Governor’s Environmental Excellence Silver Award in the Virginia Outdoors Plan Implementation category. The 2016 Governor’s Environmental Excellence Awards were announced on April 7, 2016 at the 27th Environment Virginia Symposium in Lexington. 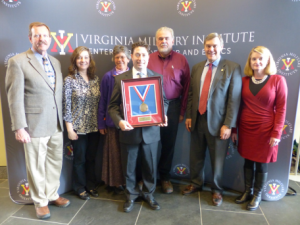 The awards recognized the significant contributions of environmental and conservation leaders in four categories: sustainability, environmental project, land conservation, and implementation of the Virginia Outdoors Plan. They are given to businesses and industrial facilities, not-for-profit organizations, and government agencies. The Roanoke River Blueway p rovides cost-free opportunities for canoeing, kayaking, fishing, tubing, wading, wildlife viewing, and watershed education with convenient access to other outdoor and cultural amenities in Virginia’s Blue Ridge all year long. The 45-mile Blueway, which includes 15 public boating access points, aims to promote healthy living and economic sustainability through increased use and awareness. Access points are located in local parks allowing for shared parking. In addition, information is provided for using the Valley Metro and bicycle accommodations. Watershed management and stewardship through education are supported through a dedicated webpage to water quality. Another educational tool is the Roanoke River Blueway Interactive Map which provides a range of information to facilitate safe use and enjoyment of this regional resource. Funding for the Blueway was leveraged from a variety of sources including private donators, the Virginia Tourism Cooperation (VTC) Market Leverage Program, American Electric Power, and Virginia Department of Game and Inland Fisheries (DGIF). Connecting parts but not enough of our region. My ride is coming, not a long wait. See a friend, how have you been? Nice to meet you, let’s talk again. Time on my hands to read, text, and relax. Drop me off, no need to park. A refreshing energy to my day. Citizens who take transit a lot, some or not. Thank you to more than 4,000 who have contributed. Clean air and water, Intentional land development. and an option for oneself. Transit stands instrumental to a livable future in the Roanoke Valley. The time is now to be unlike any other place to live. We are the heart of Virginia’s Blue Ridge. 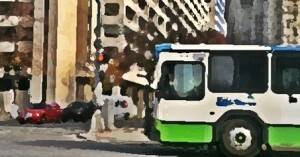 Review the Roanoke Valley Transit Vision Plan by Friday, May 27 (www.rvarc.org/transit). Talk with staff about the draft at the Commission’s Annual Open House on May 9, 2016 or send your feedback to Cristina Finch at cfinch@rvarc.org. Your input is important to the future of the Valley! What do regional long-range plans and business books have in common? The ultimate goal is to craft a long-term leadership vision that can be implemented through prudent and strategic day-to-day decisions. It is the old “Eat the elephant one bite at a time!” proverb. However, we live in a world of complex social and economic interactions that defy “one size fits all” approaches. One way to think through this tension between long-term vision and day-to-day decisions is to use economic frameworks. I do a lot of personal study and reading in economics. It is a deep interest of mine, and I think it helps inform our work as planners. 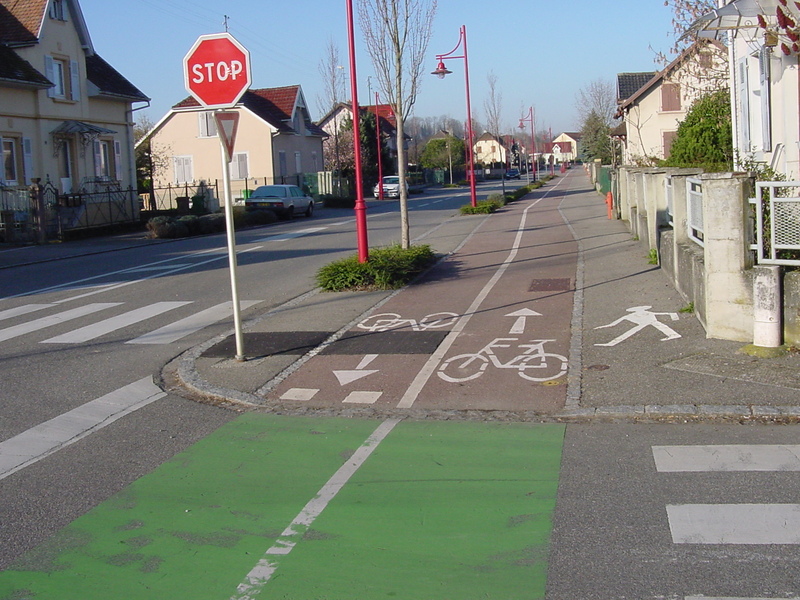 I especially think that Behavioral Economics will prove to be very informative to planners in the coming years. That said, many people think of economics in terms of Adam Smith’s Invisible Hand . Although this is a useful metaphor for many basic day-to-day market interactions, there are times when it doesn’t necessarily hold. For instance, imagine that you are at a football game and everyone is comfortably seated and can see the game. Then a few people stand up to get a better view, then more and soon the whole stadium is standing. The end result is that everyone pretty much has the same view as before; however, they are less comfortable. If an announcer communicated the “vision” to request everyone to please sit down over the loudspeaker, or if stadium rules didn’t permit standing during the game then the cycle could be broken. Long-range plans are similar in this regard. In essence they are just trying to point out that everyone is standing, when they could be better off being comfortably seated and watching the game. Popular leadership and business books espouse this idea when it comes to individual career development and organizational development. In essence they tell readers to craft a personal vision (or organizational vision for leadership books) and then act on that vision through day-to-day workplace decisions. This advice is well received by the majority of professionals in the workforce as evidenced by how big the business, management and leadership category of books is in bookstores or on Amazon. All we are saying is to think of regional long-range transportation plans as crafting a vision for the community and then encouraging leaders to act on that vision through day-to-day decisions. Most of us already accept this advice in our professional lives via business books. Why not accept the same approach for the community through long-range plans? This entry was posted in Transportation, Latest Updates and tagged Long-range transportation plan, long-range planning, vision on April 18, 2016 by admin. Roanoke, Va. (April 5, 2016) – The Roanoke Valley Broadband Authority (RVBA) is pleased to announce that forty-seven-miles of new, high quality, fiber-optic broadband cable is now buried beneath the cities of Roanoke and Salem, VA.
RVBA vendor partners Thompson & Litton and USC (Utility Service Contractors) completed the Outdoor Plant construction on April 5, 2016 at the Valley View Point of Presence (POP) location. The completion of the new network’s “outside plant” marks a major milestone for the public-private partnership’s regional investment. The project, which broke ground last summer, was designed to spur regional economic development by increasing access to extremely secure, high-speed, affordable, and un-throttled fiber-optic Internet service. 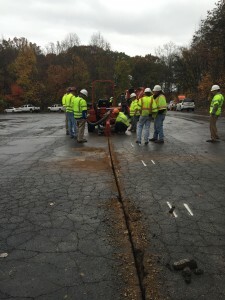 The new conduit network has been threaded with 144 threads of fiber optic line, each thread capable of delivering secure, private, terabit-level upload and download connections for future RVBA customers. It is anticipated that the new highly resilient, synchronous, and self-healing system will provide tremendous benefit to enterprise-level clients (corporate, government, and education) across the region. The new open-access network has also been designed to spur additional private sector telecommunications investment by lowering the barriers of entry required to deliver competitive services in the Roanoke Valley. 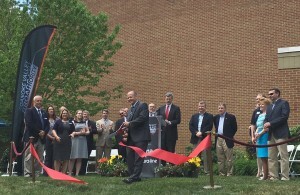 The new network, built on defense-grade equipment, directly connects the Roanoke Valley to two international Internet switching stations. Now that construction of the outside plant is complete, local project teams will spend the next few weeks stress-testing the system and configuring the switching centers for an official service lighting event later this spring. The next meeting of the Roanoke Valley Broadband Authority is open to the public and is scheduled for April 15, 2016 at 8:30 am in the Roanoke Valley-Alleghany Region Commission Building (313 Luck Avenue SW, Roanoke, VA 24016). When it was discovered that the Roanoke Valley lagged behind the rest of the country with only 8% of the metro population having access to fiber networks (compared to the national average of 24%), a task force was formed to develop specific recommendations that would make the Roanoke Valley a better place to both live and work. In January of 2014, the four municipalities officially took action on these recommendations by forming the Roanoke Valley Broadband Authority (RVBA) to expand the regional broadband infrastructure and make it easier for both new and existing providers to deploy their technology and offer price-competitive services across the Roanoke Valley. Taken together, the RVBA was tasked with driving measurable improvements to fiber-optic Internet accessibility, affordability, reliability, and Internet speeds for the purposes of advancing the long-term economic prospects of the region. This entry was posted in Blog, Latest Updates on April 6, 2016 by admin.